When it comes to improving one’s fertility, the primary thing that one needs to ensure is done right, is to have the right diet. Be it in the case of men or women, there is strong evidence that a properly monitored diet does help to uplift one’s level of fertility. In the case of men, sperms are quite a sensitive element. The way it gets produced depends a lot on the diet one intakes. 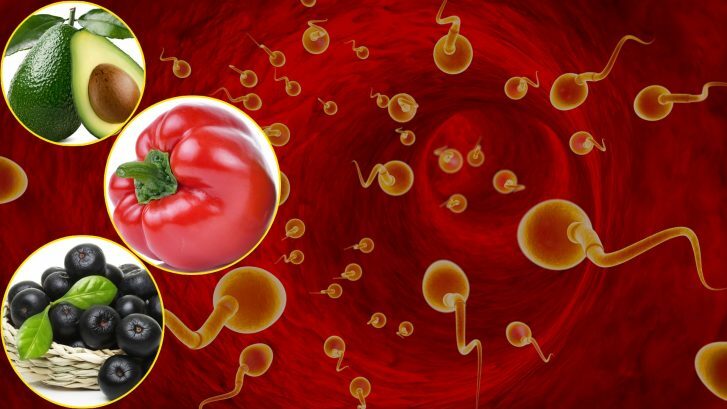 The very chief nutrients that is required to produce quality sperms are zinc, folate, tons of antioxidants, and selenium. Not only does asparagus contain a lot of nutrients which is required to grow sperm, it also is filled with exceptional properties which help to decrease sugar level in blood. It also helps to maintain the cardiovascular system. You can consume six spears in a single serving. The best part is you can eat it in different ways. It can be eaten in the form o different soups, dishes and even enjoyed in salad form. Known to be the butter of nature, avocadoes come packed with good oils. Not only do these taste delicious, these are great for one’s health too. It contains high level of folate, Vitamin C and Vitamin E. This is why it is of great value when it comes to DNA replication. It is useful for making the sperm cells swim too. It works better when you replace mayonnaise with avocadoes. You can again consume it in a wide array of ways. You can even have for breakfast. Beans have come a long way, yet they have a little bit of a tarnished nature since digesting it is a tad bit tough. It can cause gas, at times too. But we cannot forgo the fact that it comes packed with protein and fiber. This is why they work wonderfully as a replacement for starches in soups as well as stews. Usually beans are known to be quite high in folate. This is one of the key ingredients required for healthy sperm as well as for the development of the embryo. This is known to be quite a well-known superfood. You can have it for practically any kind of meal that you prepare. It comes well packed with Vitamin C. In fact, it contains more Vitamin C than what is available in an orange. It also has a good amount of Vitamin A, B, and E. Hence, why not have more of it? Simply have it with your oatmeal or snack them or enjoy it in your salad, you can have it anyways and yet enjoy it to the utmost. Berries are fully packed with antioxidants and help to protect the sperm while it is in the stage of development. It is rich in fiber too and it lower in glycemic index (GI) percentage, since it’s not extremely sweet. When you are craving for something sweet, why not start popping in berries?